I love this time of year in London, when the branches start growing buds and the blossoms open, almost unnoticeably at first until one day all of the trees are in full bloom. There’s tulips growing in front gardens, Winter coats returning to hibernation for another year and suddenly it’s warm enough to sit outside of coffeeshops and people watch. We’re getting there. It’s been a pretty busy week. Last weekend, Jorge and I went to the cinema for the third time ever in our 3+ year relationship to see “The Theory of Everything” which was very good. We also met up with Danny and Lucy for drinks at the Kensington Quarter, browsed Vivienne Westwood’s shop on King’s Road with the crazy clock and slanted floors and walked around World’s End Nursery. I made some delicious rosemary cheddar scones, which I’ll share next week. I’ve also been working on photographs and etsy listings for my new project which will be up sometime in March. Ah, weekend rituals. 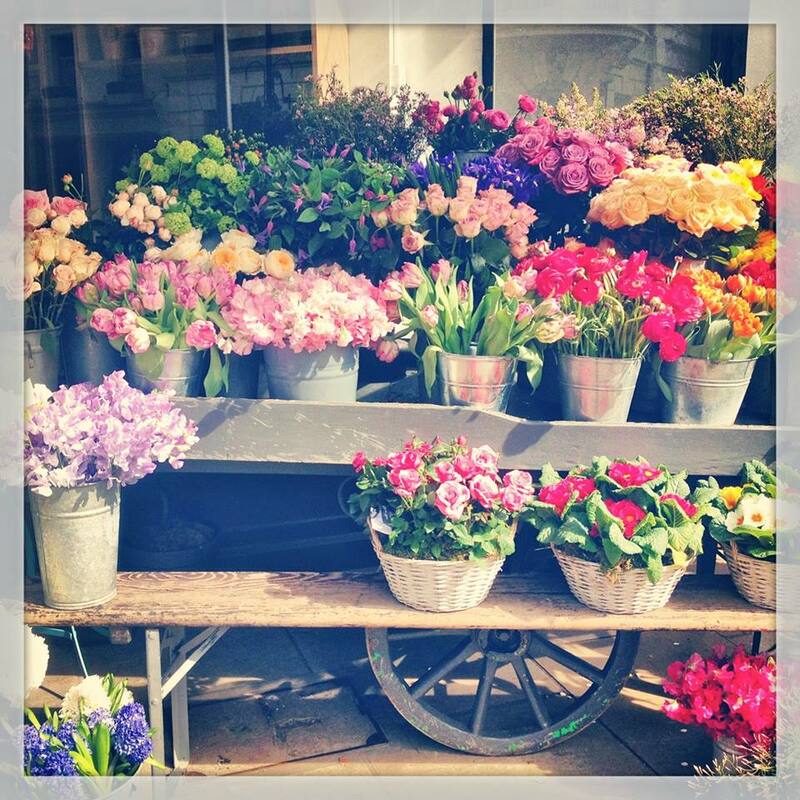 Rosie shares a lovely post about her favourite way to while away a Saturday (flowers, book and macaroons, anyone?). Have you see photographer Miheala Noroc’s project called An Atlas of Beauty with images of women from around the world? 5 recipes to try: Ricotta Fritters; Rosemary Jasmine Tea Rolls with a Whiskey Glaze; Heart-Shaped Whole Wheat Banana Pancakes; Peach Melba Pancakes; and Brownie Cake with Salted Caramel and Peanuts. Awesome post from Natalie Davis of Canoe on what it’s like to quit your day job and start your own business and another on the same topic over at the lovely Rosalilium. A touching post about experiencing grief. 5 things on my wish list: This slouchy stripped sweater for cosy weekends; this embroidered shirt for spring, this green jacket that’s been on my list for a while; this pretty red skirt; and this primer which I hear is awesome. I can’t get enough of cinemagraphs! Here’s 14 of them to keep you mesmerised. And, this fantastic Barcelona post has some more. 5 fun pieces of street art: We Like Static in London, UK; Jana and JS in Salzburg, Austria; Okudart in Santander, Spain; Banksy in Gaza, Palestine; and Blu in Sucre, Bolivia. Iceland has been on my travel wish list for a long time. I’m bookmarking this short guide from Nishaantishu! Oh I love that pretty red skirt! Perfect for the spring and summer! !